Run on the Mother of all Roads. The Williams Route 66 Marathon showcases the best of what Tulsa has to offer! Start your race in downtown Tulsa, home of the largest concentration of Art Deco architecture outside of Miami, and then make your way through Tulsa’s vibrant and diverse neighborhoods and the campus of Tulsa University. 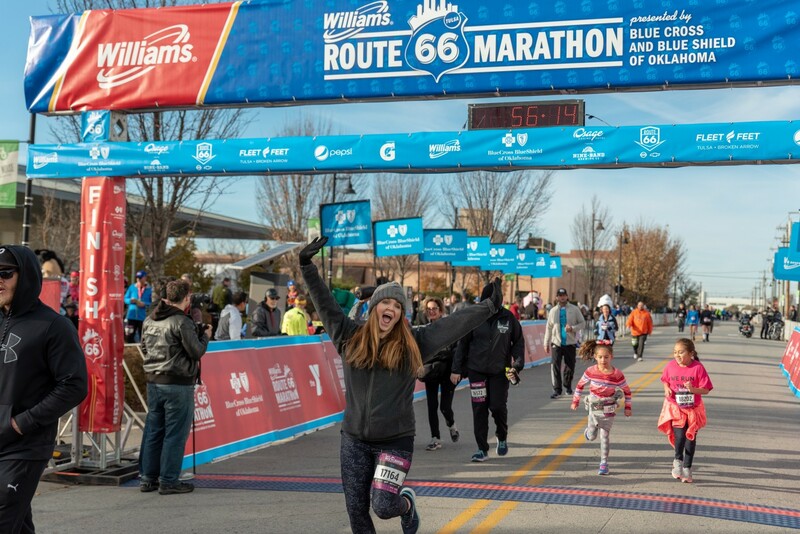 If there’s one thing you can count on at the Williams Route 66 Marathon, it’s tons of on-course support from the local community and plenty of fun. Our neighborhoods host block parties all along the course to welcome and cheer on the runners. Roads will reopen based on a 16:30/mile pace (this time starts once the last runner crosses the start line). Finish line will remain open for 7:30 hours to receive an official time. 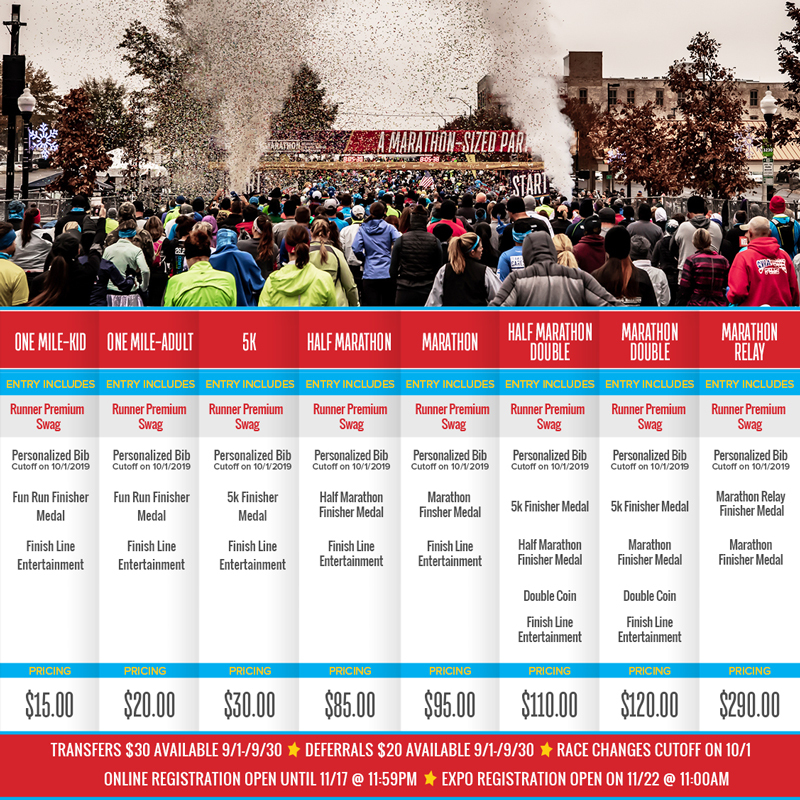 The Route 66 Marathon does not offer refunds for any reason. The Route 66 team is unable to mail any merchandise after you leave the expo. Please check your size before you leave the expo. The Williams Route 66 Marathon is run on a USATF certified course. The Williams Route 66 Marathon is a Boston Qualifier. Strollers are not allowed in the events with the exception of special pre-approved routes. Animals are not allowed on the course, with the exception of pre-approved certified service animals. Walkers are welcome in all Williams Route 66 Marathon races.